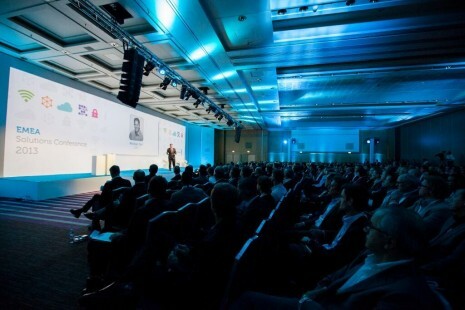 As discussed in a previous post a conference host is often thought of as someone employed simply to “run the show” – introduce speakers and keep the event to time. This is a very short sighted view as a host with a truly professional outlook can offer so much more by becoming totally immersed in the event and “adding value” wherever possible. The aim should be to become an integral part of the “team” – as if you were an employee of the client – which of course you are (albeit a short term one!). The host has what I consider to be an “awesome responsibility” – in that he or she is largely responsible for helping to deliver a successful event. In the next few posts I will show how I go about achieving this. 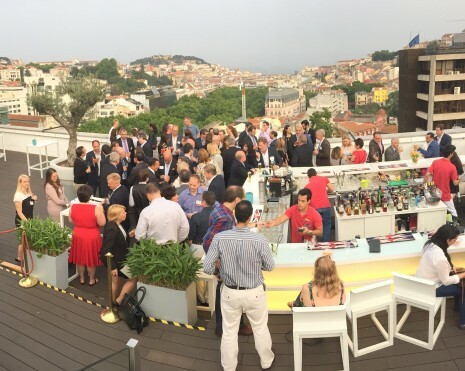 I consider myself lucky to have been invited to host many conferences – not only in the UK, but also abroad. It is also nice to be invited back! 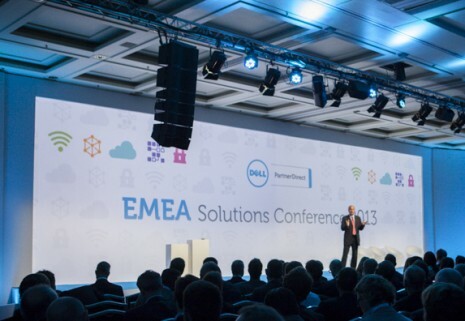 For example I have hosted the Dell EMEA dealer channel conference in Paris in 2013, Brussels 2014 and Vienna 2015 (involving approximately 600 delegates from 61 countries!). Each of these was a very full-on day – and evening – as it also included hosting the dealer awards at the gala dinner. a) A brief on the company: its history, governance, products and services, marketplace and competitors! A thorough trawl through their website will of course give much of this. However as well as knowing the “public” face of the company – it is also important to be aware of the “inside” story (see comments under “Consultation” below). 2) Consultation: when I have absorbed the above I then talk to the organisers – either face-to-face or by telephone. If the event is being planned by an event organiser you will often be expected to be briefed by them. However – as well as going over the “nuts and bolts” of the conference agenda (which is more in the realm of the event planners) I also like to know how well the client is doing in their marketplace and what the mood of the delegates will be! This is important so you can “fit in” with the prevailing climate – it’s no good being jaunty and celebratory if there have been redundancies and cut-backs! For this reason it is also important to talk to the end client as well. If possible, I will also call the speakers for a chat and find out how they want to be introduced, what their topic is, how they will wrap up (so I know when I am due back on stage) and – crucially – how to pronounce their name! 3) Conference design: The “host” is often thought of as an added luxury – an “extra” to the main event, who is to be furnished with an agenda, list of speakers and told to run the show. This is more the role of the “link presenter” I described in an earlier post. While this is fine … it ignores the fact an experienced host will have been at many conferences, and will have seen what works – and what doesn’t! I am thinking of things like the number, timing and length of breaks; the human attention-span and ideal length of time for a speaker (not for nothing is a teaching period 40 minutes – max! Remember how you felt at the thought of double History on a Friday afternoon?! ); the scheduling of external speakers; how to maximise the potential of the “graveyard slot”; the timing of break-out sessions (which always take longer than expected! ); handling feedback and how to run a Q&A session! This is why I often point out to clients that my input on all of the above – and more – can (and should!) be an important part of the pre-event design and structure of the conference. Choosing a host who can do the above will also mean their involvement at the event will be more immersive – and he or she will truly become a part of the “team”! 4) Speaker Coaching: the other aspect of using a “professional” host which is often ignored is that he or she can help the speakers with their presentation skills. This can take place ahead of time – either one-on-one, in small groups, or failing that, at the rehearsals before the conference. Small tips about voice projection, microphone technique, eye contact, use of auto-cue, controlling nerves and general platform mechanics can make a big difference to the confidence and delivery of inexperienced presenters. Also check out my Hosting Case Studies for more insights into the role of a Host – and read what “others have said“! In my next post I will take a look at the “tool kit” and equipment no host should be without! If you are looking for a conference host to ensure the success of your next event – please get in touch!